Being a parent is a tough job and it is even tougher when you are a mother and an entrepreneur. Starting your own business is a huge accomplishment but an even larger one is running a successful business while not alienating your family. The juggling act can take months or even years to master as children change as they age. An infant is going to need much different attention than that of a rebellious teenager. 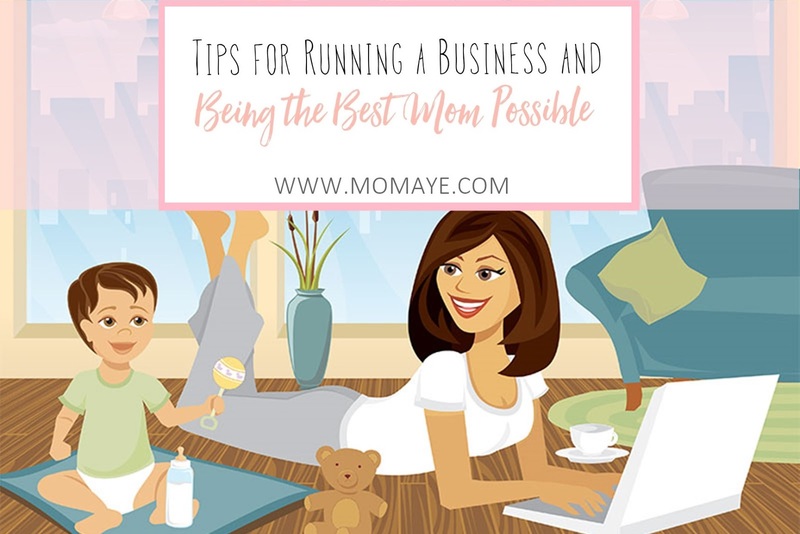 For those overachievers there are going to be times that you have to call it quits for the day to be a mom rather than a founder of a business. The following are tips for moms that also run a business to be the best mother possible. Setting up a realistic weekly schedule does not involve working 90 plus hours during the week and taking the kids to school daily. You need to balance work and family so set goals for each week for things that you need to have done, want to have done, and would be nice to get done. This will help prioritize your work for the week allowing you to be as efficient as possible. Taking on too much will only leave you or your family disappointed so avoid this completely. There are going to be things like data mining or finding contact information that is going to be time consuming yet inexpensive to outsource. Go to a freelancer platform like that of Upwork to find someone to help you out. These freelancers have ratings along with their specific skills whether it is sorting your emails or compiling a list of sales targets for the month. Everyone has that task they know nearly anyone can do but they hate doing, simply outsource it for a fraction of the cost of your time. Working at night or early in the morning can be a great time to get more done than you can when the kids are running around the house. Being able to get this work done can allow you to come home early from the office or call it a day early if you run your business from home. Children that are in school leave a working mother quite a bit more time than those on summer break so keep this in mind. Certain industries have busy times of the year so just hope that this does not occur during the summer for your business. You are going to need to find time for yourself so you can recharge both your professional and parenting batteries. Lack of time to relax can result in irritability and overall decrease in production regardless of what you are doing. Rejuvenating yourself can be done in a variety of ways whether you are using diffusers for essentials oils to help relax in the bath or in your bed room. Using a diffuser can also help the home start to smell great which can help you reduce time you might spend cleaning. It is all about being efficient as a mother entrepreneur. As you can see the above tips help a mother accomplish the nearly impossible balancing act. There will be growing pains implementing certain tactics but it will be well worth it when you succeed as a mother and in business!